If you watched the Paralympics, you might have noticed something. No, not that wheelchair rugby is an incredibly violent sport. But that the countries that won gold are hugely different to the Olympics winners. Some 63 countries took that medal, four more than at the Olympics, and 17 of those didn’t win one gold a month ago, and that includes such giants (in population terms) as India, Egypt and Nigeria. What does that mean? Well, it probably says a lot about the lack of money in the Paralympics meaning there’s a more equal playing field, but, in the context of this national anthem-obsessed blog, it means only one thing: that people got to hear 17 anthems for the first time this year! 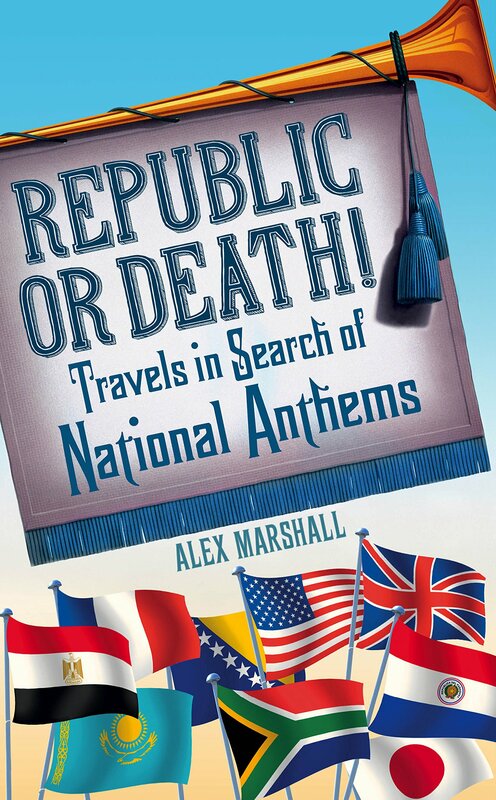 Many of those anthems I’ve written about on here or in my book. They range from greats like Algeria’s (the only anthem to mention machine guns) to the controversial like Iraq’s, the much loved like Malaysia’s, to the plain naughty like Mexico’s (the only anthem written out of lust). But there were a few that I haven’t written about, of which one sticks out: Trinidad and Tobago’s. What’s interesting about Forged From the Love of Liberty that makes it worth choosing? Musically? Nothing. And lyrically? Nothing either! But there are two reasons it’s interesting. Firstly, it was originally written as the anthem of the West Indies Federation, which lasted from 1958 to 1962, and was an attempt to almost create one country in the Caribbean. Its author Patrick Castagne made his song vague enough to appeal to everyone, with lines about all the islands “side by side…our hearts joined across the sea.” But when the federation collapsed he didn’t decide to just let it disappear to history, he tweaked it to make it work for Trinidad and Tobago instead. He was somehow awarded $5,000 for those three minutes of work. It’s the only anthem I know of that’s been rewritten in that way (Russia’s used to the be the anthem of the Soviet Union, but I think this is more dramatic). The second thing that’s interesting is Patrick himself. Patrick wasn’t just an anthem writer. He also wrote calypsos, including this great tune, Ice Man for someone called Lord Melody. I wonder if Akeem Stewart – the Trinidadian Paralympian who won gold in the javelin at the Paralympics and silver in the discus – would have preferred to have heard some calypso on the podium instead of his anthem. If you know him, please ask.